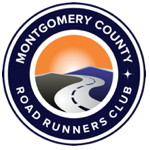 The Officers, Directors, Major Race Directors, Major Race Treasurers, Program Heads and employees of the Montgomery County Road Runners Club (MCRRC) owe a duty of loyalty to the MCRRC, which requires that in serving MCRRC they act, not in their personal interests or in the interests of others, but rather solely in the interests of the MCRRC. Officers, Directors, Major Race Directors, Major Race Treasurers, Program Heads and employees must have undivided allegiance to MCRRC’s mission and may not use their positions, information they have about MCRRC, or MCRRC’s property, in a manner that allows them to secure a pecuniary benefit for themselves or their relatives. The conduct of personal business between any Officer, Director, Major Race Director, Major Race Treasurer, Program Head and employee and MCRRC is prohibited. Business transactions of the MCRRC in which an Officer, Director, Major Race Director, Major Race Treasurer, Program Head or employee has an interest shall not be prohibited, but they shall be subject to close scrutiny. Such proposed transactions shall be reviewed carefully to determine that they are in the best interests of MCRRC and that they will not lead to conflict of interest. For the purposes of this policy, an Officer, Director, Major Race Director, Major Race Treasurer, Program Head or employee has an interest in a proposed transaction if he/she has a substantial financial interest in it, or has a substantial financial interest in any organization involved in the proposed transaction, or holds a position as trustee, director, general manager, principal officer, or employee in any such organization. Prior to the start of any negotiations, or consideration of a grant request by the MCRRC, Officers, Directors, Major Race Directors, Major Race Treasurers, Program Heads and employees are expected to make full disclosure to the best of their knowledge of any dual interest in a proposed transaction by submitting a report to the President or other officer designated by the Board to handle such matters, supplying any reasons why the transaction might not be in the best interest of MCRRC. In matters requiring prior approval of the Board of Directors, the President or other officer shall forward copies of this disclosure report to the Board before its approval. An Officer, Director, Major Race Director, Major Race Treasurer, Program Head or employee with a dual interest in a proposed transaction shall not vote on the matter and, depending upon the circumstances, may be excluded from any discussion of the matter. An Officer, Director, Major Race Director, Major Race Treasurer, Program Head or employee shall not use inside information of the MCRRC for his/her personal benefit, or use such inside information or his/her position as Officer, Director, Major Race Director, Major Race Treasurer, Program Head or employee to the detriment of MCRRC. Inside information is information obtained through the Officer’s, Director’s, Major Race Director, Major Race Treasurer, Program Head or employee’s position that has not become public information. Each Officer, Director, Major Race Director, Major Race Treasurer, Program Head and employee has a duty to place the interests of MCRRC foremost in any dealings involving the MCRRC and has a continuing responsibility to comply with the requirements of this Policy. On an annual basis, each Officer and Director is required to complete a Conflict-of-Interest Disclosure Statement. Completed statements shall be returned to the President. The President is responsible for (a) assuring that all required statements are completed, (b) reviewing all statements for any concerns, and (c) forwarding all completed statements and concerns, as well as her/his own completed statement to the Finance Committee or, if applicable, an audit committee for their review. The Treasurer shall be responsible to retain copies of all statements for at least three years, or as otherwise set forth by any record retention policies.